Here at Terras Farm we take the quality of our products seriously and regularly undertake Taste tests. Duck burgers along with the Kea plum sauce get the thumbs up from us. We were poised ready at 11 o’clock today for the Taste of the West product awards results and are delighted with our results. We entered: free range whole duck, smoked duck gluten free duck burger. We have been awarded GOLD for all three products. Warmest wishes this Easter weekend. This past week we have seen some real winter weather here in Cornwall with snow that actually stuck; giving me the perfect opportunity to show how our white ducks start off with a lovely yellow down. Thursday is burger making day! Today's hand pressed Gluten free duck burgers made fresh today for delivery to a customer in Halifax. No secondary cuts on a duck - we use the leg and thigh meat! 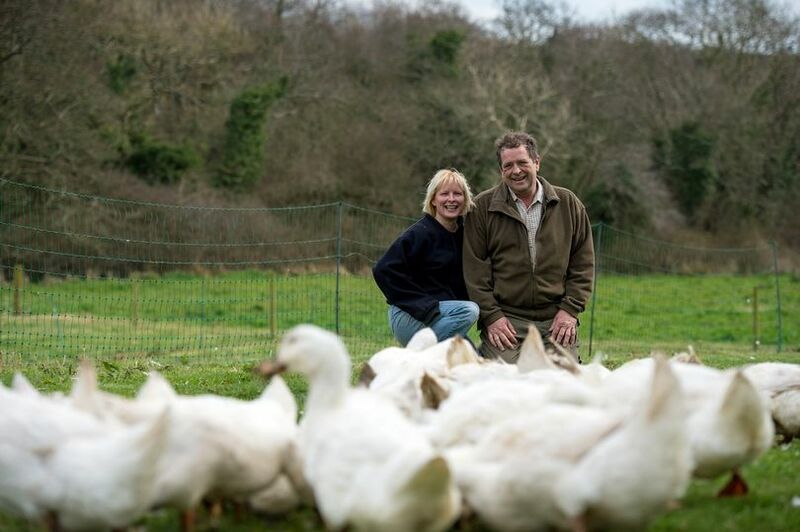 2016 has been a great year for us at Cornish Duck. There were ten thousand product entries from the UK and Europe and only 141 were awarded with the prestigious 3 star. A good sized breast with plenty of plump meat. The tender meat has distinctive duck aroma and taste. Great quality, full of flavour. Judges have gone back for more! A superb flavour on the skin. A very tender duck with rich, fatty, oooziness. The breast meat is sweet and juicy, the darker meat is also moist and sweet. Obviously reared and fed well - this comes through in the flavour of fat, skin and meat.